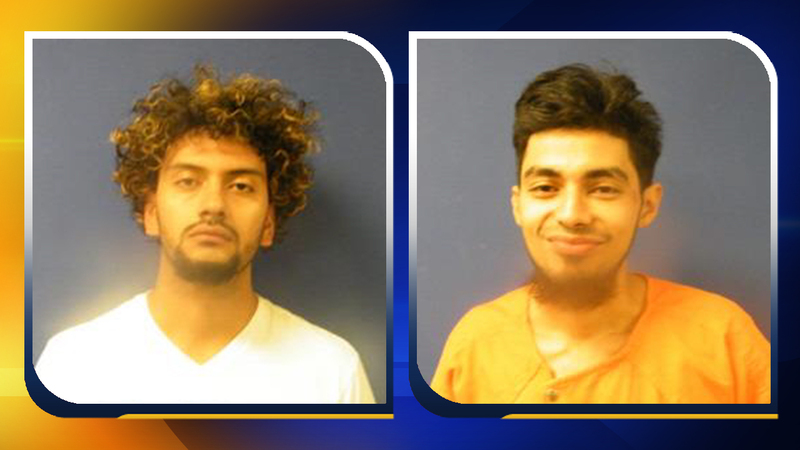 CLINTON -- Two men in Sampson County were arrested Monday morning following a home invasion off Old Raleigh Road in Clinton, according to the Sampson County Sheriff's Office. Cristhian Gutierrez, 22, and Elvis Reyes, 24, both of Clinton, knocked on the front door of a home and when a homeowner opened the door, the suspects allegedly pushed her back in at gunpoint. One suspect fired a shot and demanded money, officials said. Another resident in the home was able to immediately call 911 without being detected. Once deputies arrived on scene, they were met by the homeowner that said the suspects were still inside the home. Gutierrez surrendered first and deputies later found Reyes hiding under a bed in the home. Reyes and Gutierrez were both charged with first degree burglary, first degree kidnapping and robbery with a dangerous weapon. Reyes was also charged with possession of cocaine.